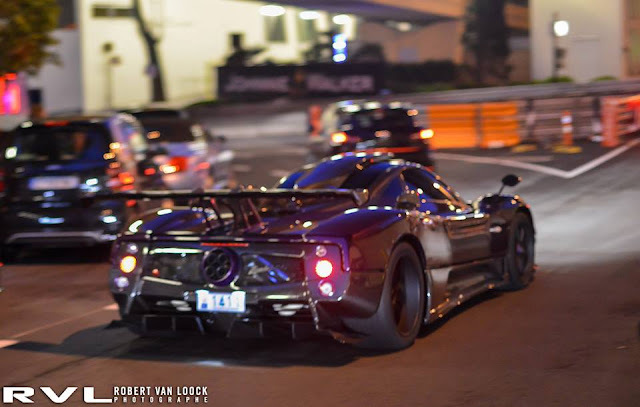 Prototype 0: Pagani Zonda 760LH Spotted on the Roads of Monaco! Pagani Zonda 760LH Spotted on the Roads of Monaco! After a year of rumors and mysteries, Lewis Hamilton has decided to exhibit its special version of the Zonda 760, in fact the two letters "LH" are the initials of the name. To show the car Lewis has waited nothing less than the night before the grand prix of Monaco (where the car is registered). We saw in an old post some spy photos of the car with test wheels and protective tapes but now you can see it finished in its beautiful two-tone configuration carbon / purple with burnished wheels.The car is equal to the 760RS, except for the transmission which is manual instead of the sequential, infact The owner is quoted as saying that "My company car has a paddle-change gearbox, so when I drive for fun, I want a manual". 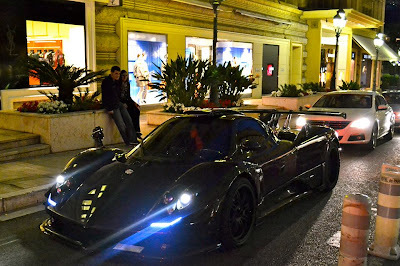 People who don't know the Zonda 760 must know that the car is a special series of the Zonda limited to 5 unit. The project has been developed throughout 2011 and Pagani workers call it the "Beast". The engine is a complete revisitation of the mythical V12 AMG and "760" stands for the power. The engine has 500 rpm more than the Zonda Cinque with the red line at 7500 rpm, while the power of 760 hp is reached at 6300 rpm with the torque of 780 nm at 4500 rpm. The top speed is estimated at more then 362Km/h and all these performances are amazing on a car that weights 1210 kg only. Estetic upgrades are seen in the spoilers, fenders and diffuser. The spoiler is fixed with adjustable load bars. The front fenders enlarged were made to contain the new tires that are larger: front tires are large 25 cm (2.5 in more than Zonda Cinque) while the rear 38 cm (1.2 more than Zonda Cinque). The price for this Beast is around 1.8 million €. 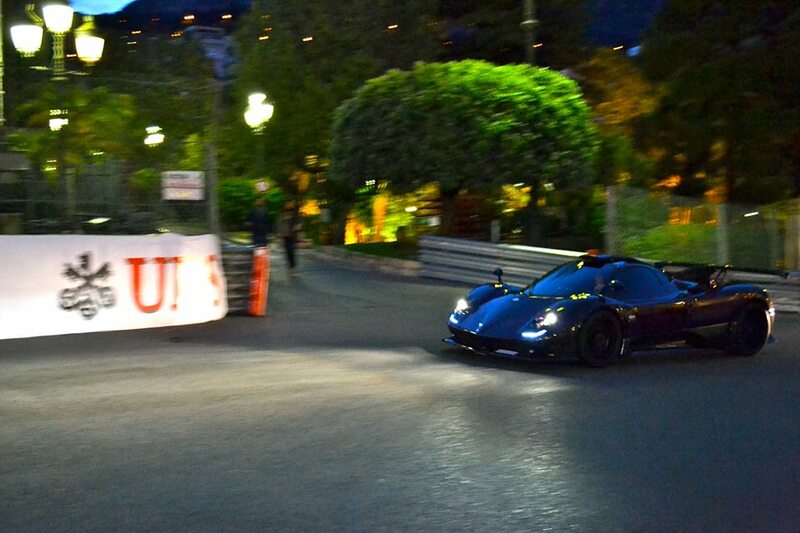 Lets see a video of Lewis Hamilton driving his Pagani Zonda 760 LH in Monaco. Pictures by: Robert Van Loock, Armand L. & Maxime C.